Taste test: These were very good chips. Nice crunch, wide ripples, lots of flavor, good sour cream and onion taste. Smell test: Nice sour cream and onion smell (unlike many SC&O chips that smell mainly like onion). 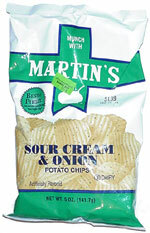 Company: Martin's Potato Chips, Inc. 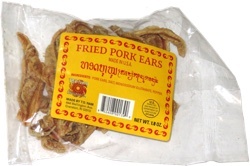 This snack was discovered by Christine in Carlisle, Pennsylvania.